A new correctional facility is beginning to take shape in the capital of Greenland – Nuuk. More than being one of the most beautifully located facilities in the world, it will provide the sentenced with an opportunity to serve time closer to their families, nature and culture. It will also be the first institution of its kind in Greenland. Ramboll has been chosen full-service consultant for the project intended to bring the Greenlandic administration of justice fully up-to-date. 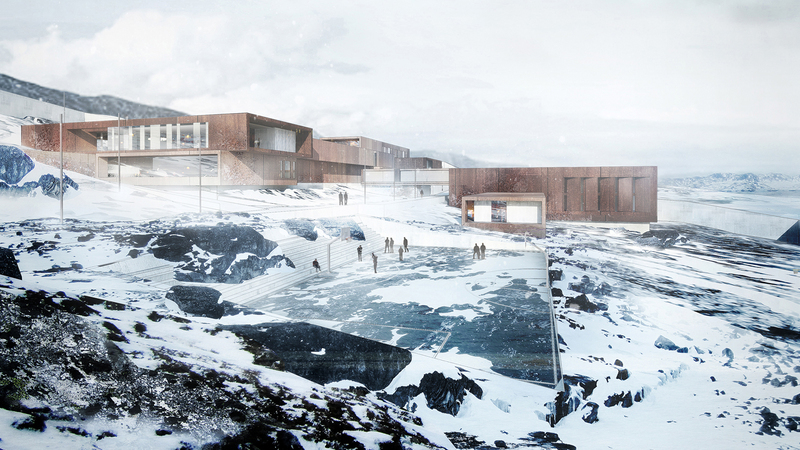 The building will be integrated with the open Greenlandic mountain landscape rendering a contrasting look of beauty and roughness. Furthermore, and more importantly, the building design aims to provide a good working environment for the employees of the facility and a positive environment for the rehabilitation of the inmates. The residential units are designed to bring the experience of natural elements such as changing day light, snow, ice, rocks, moss and blue sky into the complex. The wide window in the common lounge area of each residential unit offers panoramic views of the vast natural surroundings. The inmates will also have an unlimited view of the expansive sea through the windows in their cells. The whole idea behind the project is to add qualities to the complex that will enhance rehabilitation and diminish physical and psychological violence. The building compound for the “Ny Anstalt Correctional Facility” will have a gross floor area of around 8,000m2 (86,111ft2) and consist of five residential blocks. The residential units will feature 76 rooms in both open and closed sections. The building materials for the project include concrete, wood and weathering steel, which fit naturally into the vast landscape. Other facilities provided at the prison include employment and leisure facilities for the inmates, visitor spaces, office accommodation for administration staff and parking spaces. The building will also feature elaborate technical and security installations. The outdoor areas of the building complex include fencing and arrival roads. Ramboll won the assignment in 2013 together a design team consisting of schmidt hammer lassen architects, Friis & Moltke architects and the landscape architects Møller & Grønborg. The design competition was organized by the Prison and Probation Service Authority under the Danish Ministry of Justice.